How To Make Schools Better For Kids | The Better Plan . .
Time magazine (Sept. 7, 2015) featured an article this week about strategies that will lead to happier, healthier, and better prepared students. Each of the eight bullet points appear below, along with their choice theory strengths and weaknesses. Many seem to view homework as a non-negotiable requirement, even though it leads to such mixed results, including high levels of stress at home. Teachers may feel that they are creating a more “rigorous” program by assigning consistent homework, but students don’t necessarily benefit from such rigor. When projects are meaningful to them, students are often willing to work on them wherever, whether at home or at school. It’s ok to occasionally have students complete assignments at home, but more often as educators we should be trying to protect home time as family time. Taking recess time away from students is one of the most common “motivators” of a boss manager. Recess is the most popular time of the day and adults for decades have used it as a threat or form of punishment. Childhood obesity rates have quadrupled in the last 30 years and prominent voices from many fields are calling for more physical activity, not less. I do think recess time should be honored, rather than used as an external controller, however I don’t think we have to make them mandatory. There are times when students might want to finish up a project or get ready for a presentation. 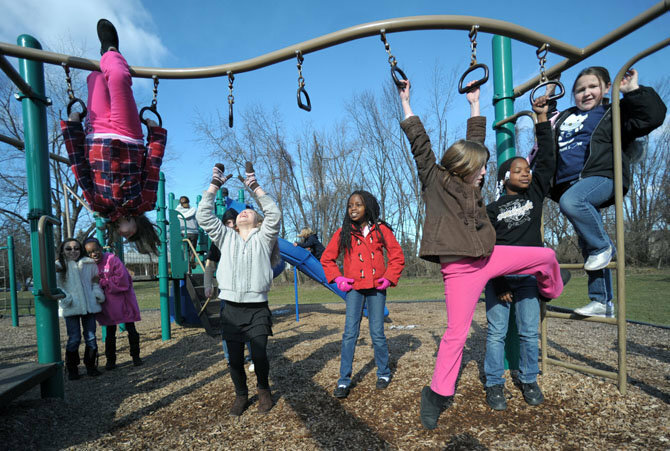 We just need to stop using recess as a punishment tool and recognize its value when it comes to student physical, psychological, and social health. I don’t see it as helpful to evaluate and label children with mental illness diagnoses. I do see it as helpful to create and maintain need-satisfying schools where students learn to self-evaluate their own needs and wants, and where they learn to be responsible for their own behavior. When this kind of learning takes place within a warm, caring, and fun environment, bad behavior (often interpreted as mental illness) becomes a non-issue. Schools are truly our best hope for a peaceful, and even thriving multicultural future. 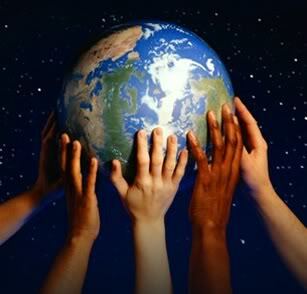 Human beings are not born with intolerance and hatred; those attitudes are learned. Schools, whether public or private, are melting pots of diversity and can be a strong force for good when it comes to learning to accept and respect others. One of choice theory’s key mantras is managing students without coercion. “Punishments like detention,” the article explains, “or getting sent to the principal’s office remove problematic kids instead of addressing what made them misbehave in the first place.” Inappropriate behavior does need to be confronted, but students must be involved in the process. Ellen White describes how “The true object of reproof is gained only when the wrongdoer himself is led to see his fault and his will is enlisted for its correction.” (Education, p. 292) Another choice theory mantra is the only person you can control is yourself. School management needs to be about helping students learn to control themselves, rather than supposedly being controlled by the punishments or rewards of teachers. As the article points out, “Kids have always learned best when they get personal attention.” This is especially true when the topic or material is relevant to them. Computers and tablets (and Smartphones) are able to provide support and enrichment in ways barely imagined until recently. Teachers are learning to differentiate assignments, based on student interests and abilities. Certain aspects of the school schedule have been around so long that we don’t even question them, even though data strongly suggests we should do just that. The traditional schedules are not based on student needs, but rather on adult needs (eg-work schedules). Studies on adolescent biology indicate they are hardwired to stay up later, and then get up later. Only one in five schools begins after 8:30 am, so the word on school scheduling still needs to get out. 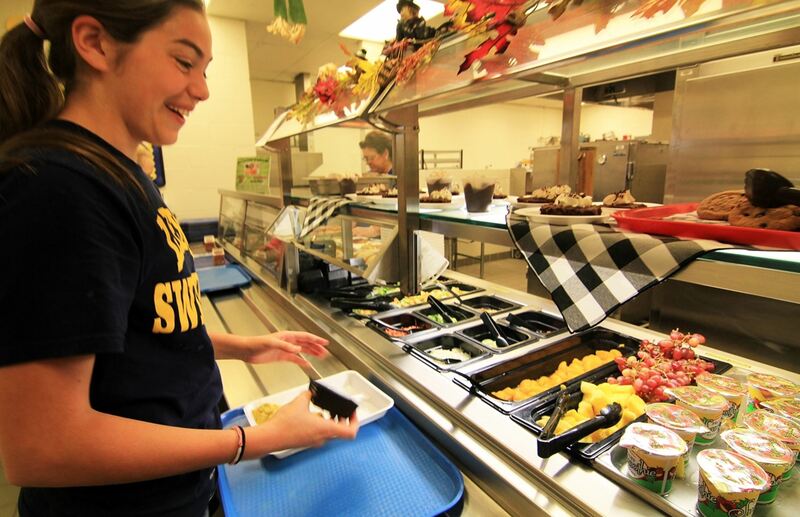 This is an uphill battle from both the school and student perspective – it is hard for schools to re-tool and offer a more nutritious diet at a reasonable cost, and it is hard for students to change their tastebud preferences. The battle is worth fighting, though, both for student performance now, and for a healthier populace tomorrow. Health care costs related to obesity and heart disease are skyrocketing, a bill that affects all of us. Which three would you put at the top? 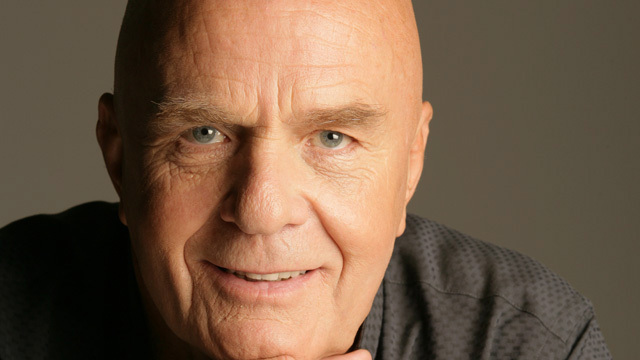 Very sorry to see that Wayne Dyer passed away. 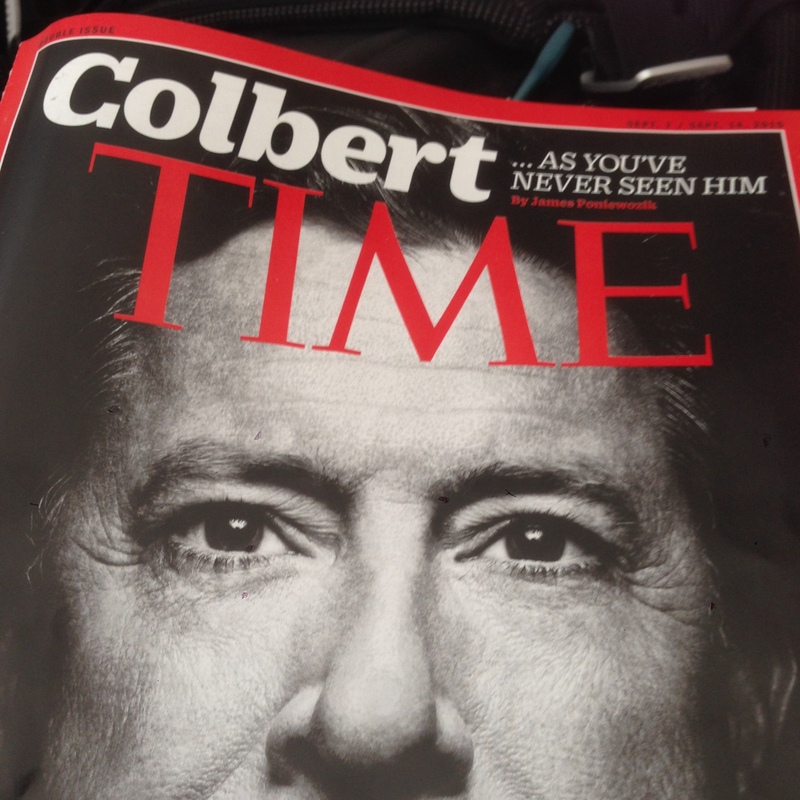 He has been, to me, a voice of reason and compassion. He credited Glasser with being an early influence on his thinking. For a lot of us we hold that in common with Dr. Dyer. 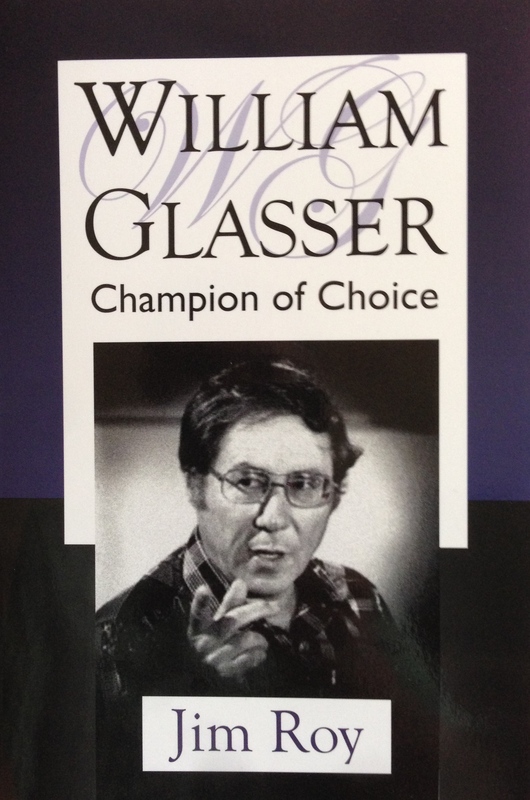 The Glasser biography, Champion of Choice, is an excellent way to learn about the breadth and depth of William Glasser’s influence. A copy of the book can quickly be gotten through Amazon. Signed copies are also quickly available through the author (that would be me). I am also grateful that you acknowledged Wayne Dyer’s passing. He truly was a remarkable and compassionate spiritual teacher. How sad that some in their conservative religious arrogance would not listen to such a voiced as his. I want to feature Dyer in the next blog post. He was an insightful man in my opinion, a gentle soul who tried to make a positive difference in the world. Jim, thank you for this post. Though retired, I still hear perceptions about area schools. An alum of Woodstock Union High School told me that the principal, Garon Smail, and the Dean of Students, Jeff Thomas, greeted high schoolers on the first day back with tables full of orange juice, coffee and tea, and donuts. Scott Farnsworth, a former school counselor, retooled as the new principal in Tunbridge and over the summer he invited students and families to school to meet with him and discuss what they liked and didn’t like about school—or he was willing to go to their homes. He heard pianos played, perused art work, met pets. Bill always said the principal–or the leader of any venture—sets the tone. I always thought the early start of the school day in Vermont was set by agricultural calendars (eg milking at 5 AM) and allowing for time for athletics after school so kids could be home for dinner. My son had a dreadful time getting up for school and he probably snoozed through his first class. He’s a full time musician now who works nights and sleeps mornings. I should have paid better attention!!!! Your responses have always been so meaningful to me. I hope that others are reading them, too. We need to start a blog called Suzy’s Responses. Thanks for looking at these eight through the Choice Theory lens. This blog engaged my thinking. First. How is that homework is still a measure of rigor? I agree there is a place for homework. But all too often students who don’t understand an idea or or haven’t mastered a skills find homework an exercise in doing work wrong. Or it becomes a frustration. Or we teachers feel we have to assign homework that makes quantity the measure of rigor; often mind-numbing, boring tasks that students have already mastered. Second. Prioritizing diversity in the classroom means more than having students with skins of different hues and a variety of mother tongues. Prioritizing diversity means learning how to differentiate instruction so that ALL student can learn.We teachers have to stop blaming students for not learning. We must learn how to help every student learn. We must practice those strategies in our classrooms. This means that we teachers must commit to learning for the rest of our lives. Third. Certainly Choice Theory has lead me to personally rethink discipline as dialogue. I also think that the need for “discipline” is almost disappears when the teacher provides learning opportunities for students that are respectful of their minds, that are personally engaging and meaningful and that encourage collaborative processes in thinking routines. Our human brains are designed to make sense of things. When our students are doing this, it almost always overwhelms behavior that needs to be “discipline.” That is my experience. Great thoughts, Lyle. Thank you for adding value to the blog’s ideas. I am thinking about how I can use your statements in one of my classes. I needed this to bring to a meeting so thank you and I believe that these points should all happen and I’m just glad it can start at my school. I read another article recently that listed Five Classroom Policies that Uphold Student Dignity. The five policies are 1) school supplies for all-no strings attached, 2) no public humiliation, 3) bathroom sign-out sheet (rather than having to seek permission), 4) snacks allowed, and 5) late work accepted. I’ve thought about doing a blog post on these five, but just in case I don’t, here they are.